Katy Levy, organizing consultant and salesperson at The Container Store in the Village of Gulfstream Park, says there are three keys to organizing: visibility, accessibility and flexibility. Here are her tips for decluttering. Take inventory: What is your worst mess? Is it clutter in the great room? Do you have trouble finding your keys? Empty the space. Put the remains in three piles: To Keep, To Donate and To Throw Away. And find a dish or tray near the door for those keys. Create a holding pattern: Put the things you have a hard time getting rid of in a box and label it with the date. If you haven’t needed anything in the box for six months to a year, get rid of the contents. Take stock of photos: Put the most cherished photos with emotional attachments in a small box. A good alternative is to scan the most important ones into your computer and copy them onto a CD, which saves a lot of space. Come out of the closet: Get rid of the clothing you rarely or never wear. If you buy a new pair of shoes, get rid of an old pair. Put what’s left on identical hangers so they hang neatly. Use clear boxes for shoes and out-of-season items and label the boxes for quick access. Find out-of-sight storage: Older Florida homes didn’t have much closet space. 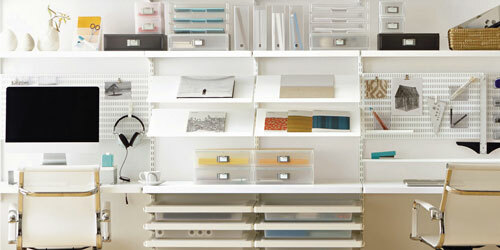 Buy organizers for shoes and other items that hang on the back of doors. Furniture should have plenty of storage drawers and ottomans should double as storage spaces.